Patients dealing with the unique challenges of PCOS know how difficult it can be to manage and the serious impact it can have on fertility. If you have PCOS and are trying to get pregnant, you need a fertility expert who understands this condition inside and out. 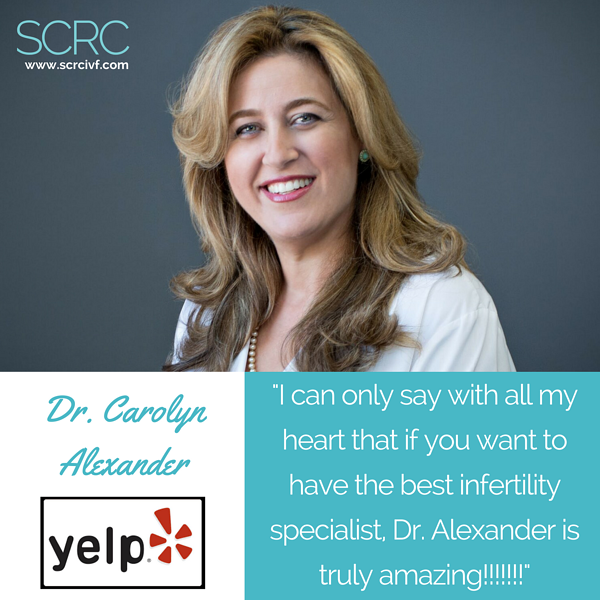 At SCRC, we are fortunate to have Dr. Alexander on our team. She specializes in diagnosing and treating patients with PCOS and has spent her career conducting extensive original research in the field. We’re delighted to profile her here today so that you can get to know her a little better and learn whether or not she might be a good match for your fertility needs. Today’s Doctor Spotlight: Carolyn Alexander, M.D., F.A.C.O.G. Dr. Alexander has strong ties to Los Angeles. She was born and raised here and began her journey to medicine here too. She attended the University of California, Los Angeles (UCLA) for her bachelor's degree, graduating with honors, and went on to earn her medical degree from the UCLA David Geffen School of Medicine. On the suggestion of a respected mentor, she made the decision to continue her education and dedicate her career to helping women and families overcome the heart-rending struggles of infertility. She went on to complete both her residency in Obstetrics and Gynecology and her fellowship in Reproductive Endocrinology and Infertility at Johns Hopkins Hospital in Baltimore, Maryland. Most of Dr. Alexander’s time is spent caring for her patients, who value her for her expertise and her genuinely caring bedside manner. Her passion for her subject shines through in everything she does. It is profoundly obvious to her patients, who turn to her for guidance and support when their situation seems impossible. It is also clear to see in the devotion she brings to research as an active member of the scientific community. She is author or co-author of many articles and studies which have been published in peer-reviewed journals such as Fertility and Sterility and International Journal of Gynecological Cancer and has participated in a study evaluating patients’ perceptions of embryo cryopreservation, the preliminary data of which was published in Science magazine. These contributions help push the field of reproductive endocrinology forward for everyone, improving patient care and cementing a scientific legacy that could help change countless lives far into the future. Dr. Alexander is also a frequent speaker at fertility conferences and events, lecturing internationally. Like many of our doctors, she takes an active role in mentoring the next generation of fertility specialists. Her commitment to teaching has seen her earn a number of “Excellent Teaching Awards” from the Department of Gynecology and Obstetrics at John Hopkins University School of Medicine and the Association of Professors of Gynecology and Obstetrics (APGO). She serves on many medical committees and is a member of several professional societies, including the American Society for Reproductive Medicine and the Endocrine Society. 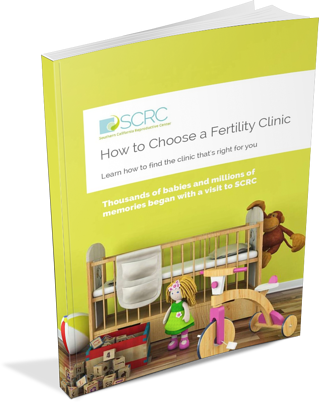 All of us at SCRC feel strongly about dispelling the myths that still linger around women’s health, infertility, and treatment. It’s the reason that community education is at the center of so much of our work. Dr. Alexander is a tireless advocate for education and has found countless ways to provide expert insight and advice to our patients and to the wider world. She is regularly consulted and interviewed by publications and media outlets such as the Los Angeles Times, Huffington Post, Redbook, Bustle, Marie Claire, Refinery29, MindBodyGreen, WebMD, KTLA, and the TV series Arranged, among many others. She’s a medical expert for the Project Baby website and blog, and perhaps most glamorously, a consultant for ABC’s Grey’s Anatomy, offering a valuable real-world medical perspective to the show. When you work with hundreds or thousands of patients over the years, it is incredible the stories you hear and the lives you have a chance to witness. The knowledge that you have made a life-changing difference for these families is something you never take for granted, which is why patient testimonials mean so much to us. Perhaps more importantly, they offer crucial insight not just for the doctors, but for potential other patients out there who are still searching for help. Doctor reviews are an amazing chance to hear from people who have been in the same situation, and to find out how a doctor really works. We are profoundly grateful that these patients decided to share their experiences with Dr. Alexander. “I recently graduated from working with Dr. Alexander and cannot fully explain what an amazing person and reproductive endocrinologist she is in words alone. She is genuine with a terrific bedside manner and she just oozes the 'we're a team in this process' attitude. I was a difficult case with Hypothyroidism, PCOS, Endometriosis and T1 Diabetes (lucky me) and she constantly worked with me and my other physicians to figure out how to optimize our chances of conception. She checked on me constantly during cycles, called the minute any test results were in and was always interested in talking through all available treatment and testing options to ensure we had all our bases covered, including referrals to specialists for extra testing when she thought the results may impact our treatment options. I'm thrilled to report that I'm currently pregnant. Dr. Alexander is both a scientific superstar and a deeply compassionate and charismatic physician. For these reasons and many others, she is respected, popular, and beloved by her patients, team and colleagues. She is a revered member of the SCRC team. With her help, hundreds of families have found hope where there previously was none and have welcomed new babies into their arms and hearts. If you’re worried about your ability to conceive and are searching for help, and especially if you know or suspect you might have PCOS, you may want to schedule a consultation with Dr. Alexander. Our warm and knowledgeable team is always available to take your call, answer your questions, and point you in the right direction.